Open a supported web browser and go to app.imaginelearning.com, or launch the app from a supported device. Enter the student username, password, and Site Code (if necessary), then click the check mark to store the Site Code. Click Allow to grant microphone permissions when you see the Use your microphone pop-up dialog box. You can create a bookmark for the web app that eliminates the need for initial authentication. 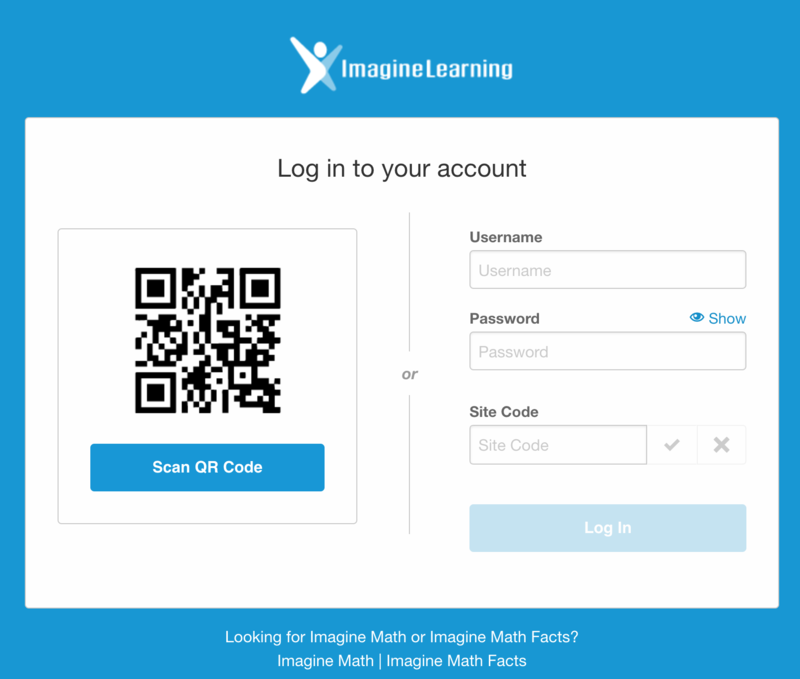 If that process is not in place, students must enter and save a Site Code the first time they log in. Hold the Student Login card in a position that allows the camera to scan the QR Code. Camera permissions must be enabled either before or during the first time the Scan QR Code button is pressed. The Chrome Web Store will ask the user to allow the new permission after the app is downloaded.